Share booth #16128 with others. 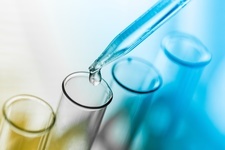 Analytical Lab Group (ALG) is an industry leader and dedicated to providing personalized microbiology consulting, research and testing services to the pharmaceutical, cosmetic, medical device, biotechnology and healthcare industries. For 25 years, ALG has been at the forefront of the industry and has expertise in USP <797>, <800> and cGMP compliance. We work with hospital pharmacies and compounding pharmacies, both 503A and 503B, to ensure environmental control and compliance for their facilities. We can perform a cleanroom Gap analysis, proficiency testing, environmental monitoring, and create protocols. 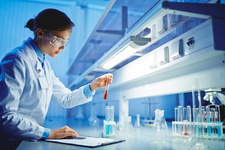 ALG has three divisions: Laboratory Services, Validation & Calibration Services, and Manufacturing Services. We have expanded our services to offer biotechnology development services, such as master cell bank preparation. 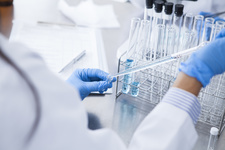 We offer services in molecular biology, virology, cell culture and analytical testing, training, validation and calibration services, HEPA filter certification, and scientific resources. We are GMP and FDA registered laboratory, and ISO 17025 accredited and 9001 compliant. Our Validation & Calibration Division provides support services to pharmaceutical, biotechnology, medical device, and nutritional product companies. Our validation experts can provide comprehensive validation services that will meet your budget and timelines. We provide custom manufacturing services for the biotechnology, pharmaceutical, medical device, and other life science industries. We are FDA registered and ISO 17025 accredited. MQA is available 7 days a week to provide you with a fast turnaround time.